A one-day event created to honor the memory of Jennifer Weaver by making a difference in the lives of women in our community. Local women who are aspiring to make a change, and could use a helping hand, are invited to choose professional clothing and accessories, receive makeovers and massages, and learn skills for interviewing and resume writing. This free event helps women in need to gain confidence and guidance. Donate women’s clothing, handbags, jewelry, and accessories. Clothing should be professional or business casual, gently used or new, clean, and on hangers. For convenient drop off, use rear entrance to Thrift Store from E. Zerfing Alley. Please mark your donations for “Day of Transformation”. Hangers may be picked up at Thrift Store. 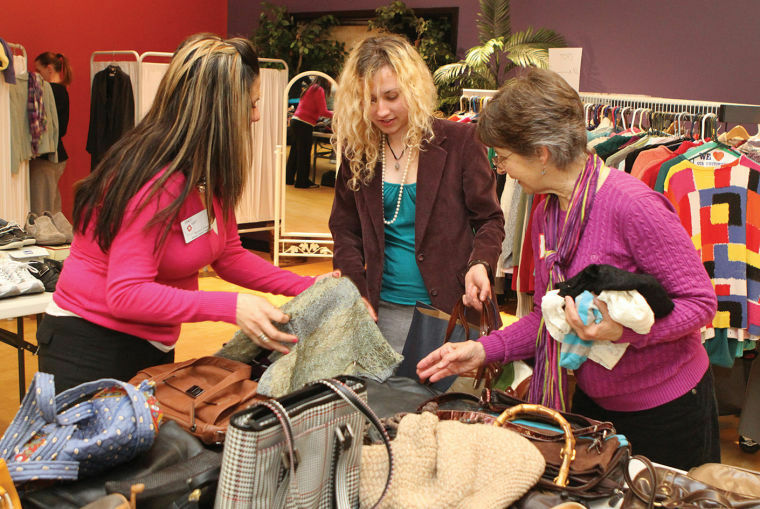 Any remaining items from the event benefit the Gettysburg Hospital Auxiliary Thrift Shop. Donation slips will be provided for your generosity. Thank you for your support! Donations accepted: April 2-6, Monday–Friday: 8:00 – 11:00 a.m.
� Note: this year, there is early drop off at the United Way of Adams County on 123 Buford Avenue. For Questions Call: Nancy Lilley (717) 334-9171, ext. 115, or: nlilley@ywcagettysburg.org. Sponsored by HACC-Gettysburg, Margaret Trew Cline Foundation, South Central Community Action Programs, Survivors, Inc., the United Way of Adams County, WellSpan, and the YWCA Gettysburg & Adams County.